Financial trading online has its own benefits when it comes to a simple comparison with standard trading in Exchange stock agencies. Besides being more convenient, online Forex brokers are usually more generous when it comes to providing extras and additional options for getting a better final outcome. The Forex bonus is a prime example of such an extra. There are many standard Forex bonuses and you can find them on almost any broker’s site, but there are also some new types of bonuses to be found on different and non-traditional trading platforms that might really intrigue you. We can give you many examples of such extraordinary bonuses, but today we are focusing on one specific example. We are about to explain to you what a Forex draw bonus is. Find out more about it now, and use it anytime you see it during your financial trading experience. A Forex draw bonus is of course a type of a bonus, and just like the other bonuses it is a specially tailored gift provided by the broker to the client. Forex draws, though, as we have already outlined above, are not meant to be offered to the whole of a broker’s clientele. A Forex draw bonus is a gift that only few people are lucky to get – mainly it is either one person, or a maximum of three or four contestants. We say contestants, because to win the bonus you usually participate in a form of a contest. This contest does not require you to demonstrate some skills, guess some information or make a certain number of winning trades. It is a type of a lottery, where all the broker`s customers have an equal chance of winning, but only a few of them actually do. The lottery of the Forex draw randomly chooses one customer, or a few, who will receive the bonus prize. Usually the final prize is an amount of money – usually from $50 to $200. However, there are Forex brokers who provide different prizes such as physical items. These are mainly mobile devices like iPods, smartphones or tablets. Some experts believe that the physical gifts of Forex draws are mainly mobile devices because most of today`s brokers are trying to encourage their customers to make mobile trades. This is why there are separate mobile Forex bonuses that are provided for clients who switch from desktop to mobile trading. What are the requirements for getting a Forex draw bonus? 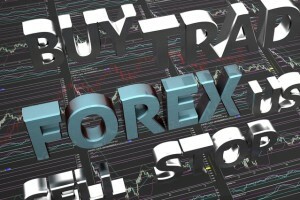 To have an official registration on the broker`s page that provides Forex draws. This means you need to fully complete your registration, and if required, to verify it – either with a phone number, an email link, or some bank account details, etc. To open an official Forex account with the broker who offers Forex draws. Once you complete your registration, you need to open an account. This requires you to make choices such as payment methods for your deposits and withdrawals, the currency you will manage your account in, etc. To have set up a primary Forex deposit account. This will provide the broker with the ability to credit the prize of the Forex draw bonus in a specific individual e-wallet. Such a wallet is provided on the broker`s page to the customer only when he makes his first deposit. To make a statement of participation in the lottery. Since Forex draws are won only by taking part in a contest, you need to participate in it in order to get the chance to be one of the winners. Usually, after the completion of the registration on the page, the broker informs you that you can participate in Forex draws that the platform has recently announced the opening of. When the lottery is performed by random selection of winning customers, all winners will be informed of their being rewarded, and their accounts will be credited with the money. If the reward is physical – an iPod or a tablet, for instance – you will be asked for delivery details. Always look out for Forex draws when you make a new registration with a new broker. They are cool and great – and who knows? You might get lucky this time!